During its relatively short existence, Clover Studio produced a triumvirate of significant and memorable titles; Viewtiful Joe, God Hand (each a candidate for a future Issue of this podcast), and in between those two, their theological folk tale of the wolf deity Amaterasu and her ‘poncle’ – a diminutive humanoid artist familiar named Issun, cleansing Nippon of demons with an array of celestial paintings and powers: Okami. Leon, James, Josh and special guest Sean Bell of Midnight Resistance and Joypod are your panel this Issue. There’s plenty of forum feedback and Twitter Three Word Reviews as well. So is it worth buying the Wii version…? or not? Absolutely. It’s the most flawed version, and visually the HD version utterly eclipses it, but if you don’t have access to PS3 or PS2 then the Wii version is still a damned fine game. I’ve only ever owned the Wii version and I love it. The Brushstrokes never gave me hassle, but pulling off combos with some of the weapons is tricker than with buttons. I’d imagine the PS3 version is amazing, but basically play this game through whatever means you can. I challenge you guys to find and beat the last Demon Gate Gauntlet (It’s in Kamui). That will put to rest the complaints of over-easiness because it is a brutal run of scores of demons, including multiple copies of Waka, Rao and Susano at increased difficulty. I’m actually shocked by how many of the games secrets eluded you all. The weekly recording schedule puts paid to the idea of us actually caning and rinsing (ironically) most games as much as we’d like to. 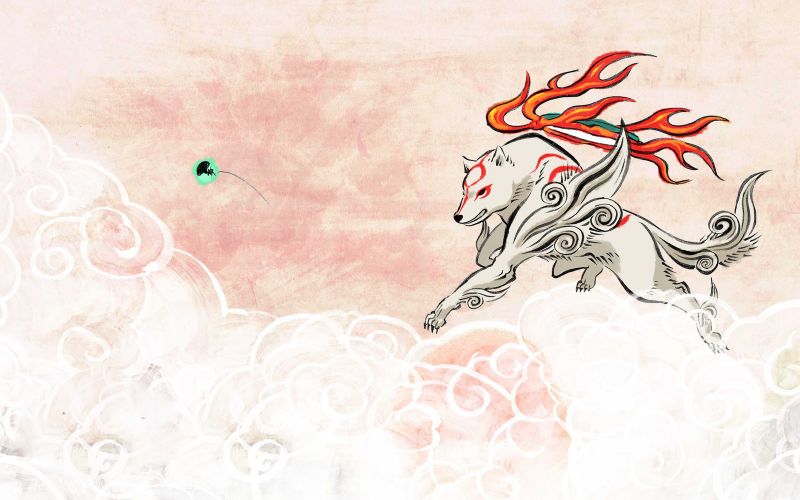 At 40+ hours Okami was one of the longest titles we’ve tackled and a real challenge to fit in to the schedule. We all loved the game and so finding all the extra stuff is appealing. It comes as no surprise to hear that Kamiya put some tougher stuff in there but a) we were talking about the lack of difficulty in terms of completing the core adventure and b) I’d still be amazed if the challenges you mention would have exhausted my enormous supply of Holy Bones and Astral Pouches! I was nuts about this game when it first released on ps2, but no matter how much I praied it no one I knew would play it. Thanks for this ep. I hope that a few more people are picking it up now in HD via the PlayStation Network.